If you’re like me, I get antsy in the month of March, almost impatient for spring to arrive; I’m itching to get outside and feel the warmth of the sun on my skin. I’ve lived in Calgary my whole life, so I know that a heavy snowfall is still likely to “surprise” us, however the chances of the deep cold are less likely. And that makes me feel alive, excited, and overcome with the early sensation of spring fever. I’m sure my dog feels the same. Oh, he loves the snow, but as a whole, I think we all just have a lot more fun when the weather rewards us with it’s warmth. The transition from the winter blah’s to spring and summer generates a list of all the things I want to do this summer, and, well, everything for me includes Presley. What’s on your list? If you don’t have one, I challenge you to create one. What are all the things you dream of doing with your dog this summer? Once you have your list, it’s time to get to work! You see, here’s the thing… Whatever you want, you need to start working towards it now. This is the time. We have three months guys; March, April, and May, and these three months will prepare us for those three precious months we all live for… June, July, and August. Whether it be a tune up or full on training, it’s time to get our dog, and ourselves, ready for the most active months of the year. Looking at my list above, I need to teach my dog water safety, impulse control around water, balance and core strength, loose-leash walking and running, impulse control and confidence around crowds of people and/or other dogs, recall – especially with distractions, impulse control around balls (the best object in the world, according to Presley), impulse control and focus (on me) around wildlife, practice sleep over’s at different places, and build confidence or address any separation anxiety in unfamiliar environments. Some of these things Presley is already fairly comfortable with, others are skills we haven’t practiced since last summer when he was a wee puppy, and some things are all together brand new. Look at your list. What behaviour or skills will your dog need to have to be able to do the things you want to do? Make a list and check it twice! Or, send it to info@clevercanines.ca and we’ll be happy to review it and add to your list so as much as possible is accounted for. If we start now, we won’t have to miss out later. It’s like wanting to be ‘bikini ready’… the time to begin for that is now too. I really wish, both for my dog’s training, and getting myself bikini ready, could be accomplished in a couple of weeks, or better yet, with a snap of our fingers. Why can’t a Genie in a Bottle be for real? If you’re wanting to make a wish come true, it’s not magic you need. It’s simply the foresight, current reality check, awareness, and support you desire. And clevercanines has your back! Get this… look what’s in our core program! Impulse control training… lots and lots of impulse control training, building blocks for getting perfect recall even among distractions, understanding canine communication (so you can shape the behaviour and confidence you need in pretty much any possible situation), education on problem solving behaviour – especially for hyperactive or reactive dogs, loads of confidence building, tips and preparation for traveling with your dog and being near water, generating focus towards you, establishing reliable commands, loose leash walking even with pace changes, and exposure to different environments, different people, and different dogs! 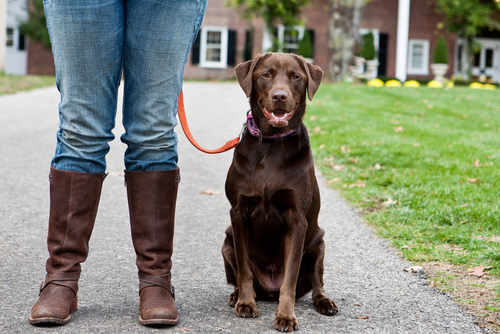 All of this happens in 10 weeks with scheduled classes three times a week, which is the length of time to build new habits and develop a sturdy foundation that will support you throughout your dog’s entire life. Putting that into perspective, that’s not a very long time. Already done core? Then you should be in club360 where we will be going hiking, camping and working on improving skills, confidence, and focus. Waiting for your dog to “grow out of it”, or to get better on their own, is as unproductive and nothing different than rubbing that bottle wishing for the Genie to grant your wishes. If you want to have fun times with your dog (and I’m sure that’s why you got a dog in the first place), then the freedom to go more places and do more things both with, and without, your dog come from having positive behaviour, strong confidence, dependable obedience, and, a relationship built on mutual trust and consistency. No, this is not a sales pitch. This is me caring about your goals and your vision. This is me sharing why I developed core in the first place. 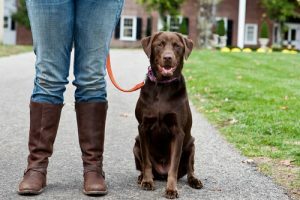 This share is born out of the thousands of conversations we’ve had with people, just like you, who want to do one thing or another with their dog, but are unable to because of a challenge, issue or concern. I want you to reach your summer vision and have the fun you and your dog both deserve. Heck, I want to reach that vision myself! I get so excited by my summer list that I want to be ready. Don’t you? So tune up or start at the beginning; either way, starting now gives you plenty of time to be ready for the transition to summer!